Garibaldi Resources (TSX-V:GGI) is pleased to provide the following exploration update including final 2018 drill hole results, all from outside the Upper and Lower Discovery zones at Nickel Mountain. Limited drilling under the 1.6-km-long icefield, regional surface mapping and lithogeochemistry have greatly expanded the strike length of the gabbroic rocks of the Nickel Mountain Complex (NMC) to 12 km in a northeast direction, well beyond Anomaly “A”. Steve Regoci, Garibaldi President and CEO, commented: “Camp is scheduled to re-open in mid-May. Our geological team enters the 2019 program with more excitement and confidence than ever after reviewing all data from six months of Nickel Mountain drilling covering 46 holes (2017 and 2018). “The stage is set for a fast-paced 2019 to fully unlock the value of the Golden Triangle’s first nickel-copper-rich magmatic massive sulphide system,” Regoci concluded. The Crevasse showing, discovered late in last year’s program after an unprecedented summer of ice retreat, will be followed up aggressively along strike and at depth. The showing extends from west to east for 34 meters (open in both directions and at depth) and then dips under a talus field that will be drilled this summer. Only 15 meters of strike was drill-tested last fall before winter conditions shut down operations. 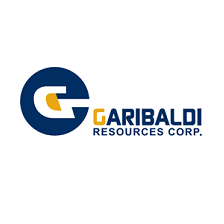 Garibaldi’s extensive 2018 program allowed geologists to expand the footprint of outcropping gabbroic rocks for approximately 12 km along strike of the E&L deposit, adding significantly to Nickel Mountain’s overall exploration potential. The E&L Intrusion resides within the NMC, and it consists of magnesium-rich taxitic and orbicular-textured olivine gabbros. The lateral extent of the E&L Intrusion is open to the ESE and at depth, and potential exists for massive and disseminated sulphide mineralization in strike extensions of the intrusion well beyond the footprint of the intrusion identified at this time. Exploration for additional intrusions like E&L was initiated in 2018 with follow-up of magnetic and electromagnetic anomalies, surface mapping of gabbroic rocks, and lithogeochemical sampling. The greatly expanded strike length of the NMC will be an important component of Garibaldi’s exploration and drilling strategy in 2019.